Our luck may fail; our powers forsake us; our place on the boards be taken by better and younger mimes — the chance of life roll away and leave us shattered and stranded. Then men will walk across the road when they meet you — or, worse still, hold you out a couple of fingers and patronize you in a pitying way — then you will know, as soon as your back is turned, that your friend begins with a ‘Poor Devil, what imprudences he has committed, what chances that chap has thrown away!’ Well, well — a carriage and three thousand a year is not the summit of the reward nor the end of God’s judgment of men. If quacks prosper as often as they go to the wall — if zanies succeed and knaves arrive at fortune, and vice versa, sharing ill-luck and prosperity for all the world like the ablest and most honest amongst us — I say, brother, the gifts and pleasures of Vanity Fair cannot be held of any great account. This quote has always seemed to me to be the heart of Vanity Fair, although it quivers with a sympathy — a sense of gentleness and mercy — that the sour Thackeray can’t quite summon for the characters he creates. They are, for the most part, zanies and knaves or men and women of substance corrupted by their vanities. 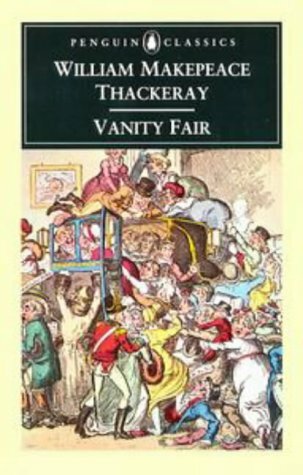 There is only one character Thackeray would likely describe as “ablest and most honest” — William Dobbin — and even Dobbin Thackeray mocks for pursuing and finally marrying a woman who Dobbin knows is not equal to and does not deserve his love. The phrase “our place on the boards … taken by better and younger mimes” nods at one of Thackeray’s principal conceits in Vanity Fair: that his characters are “puppets” and he is the “Manager of the Performance”. But I also think the phrase gestures at something more profound, that Thackeray thinks we are all puppets, too, hack players in a foolish play. “Well, well,” as Thackeray said. Maybe. But the vitality Thackeray invests in this nearly 800-page novel argues differently. And his opinion that “the gifts and pleasures of Vanity Fair cannot be held of any great account” perhaps suggests there are other gifts that are of “great account”. What these gifts might be, however, Thackeray doesn’t say. 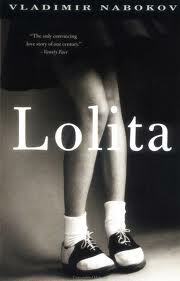 Nabokov’s masterpiece is frightening story of abuse, a Gogolish road-trip through post-war America, a funhouse of unreliable mirrors, and a tale of selfish vice vanquished (but not excused) by love. After Humbert Humbert destroys his doppelgänger in the fairy-tale mansion on Grimm Road, he and Nabokov make a furious last dash to preserve Dolores Haze from time and death. They succeed.